16 December 2018, Carbon Brief, COP24: Key outcomes agreed at the UN climate talks in Katowice. This year’s COP24 annual UN climate conference concluded late on Saturday evening in Katowice, Poland, after two weeks of tension-filled talks. Nearly 23,000 delegates descended on the coal-tinged city with a deadline for hashing out the Paris Agreement “rulebook”, which is the operating manual needed for when the global deal enters into force in 2020. This was mostly agreed, starting a new international climate regime under which all countries will have to report their emissions – and progress in cutting them – every two years from 2024. 13 December 2018, DECEMBER 13, 2018 ECO Climate Network gave Australia its “Fossil of the Day” Award (Oz has been a keen recipient of these awards for several years now). They thought they could hide behind the soot and smog of Katowice, but not today! Let’s welcome back Australia to the scoreboard – where have you been? The Aussies are big on transparency and have a robust system of greenhouse gas accounting and reporting on emissions at home, which is why we know they have had four years of rising emissions after scrapping a successful emissions trading system. So how will they meet their target? Through carbon credits, of course! While their neighbour New Zealand came out this week and announced they will not use Kyoto Assigned Amount Units (AAUs) to meet their Paris target, Australia has remained silent in transparency and accounting in anticipation of using its hundreds of millions of credits to meet its target in a canter. Let’s be clear: Australia is not interested in reducing emissions. It saddled up to the Trump sideshow on coal to promote its fossil fuel exports as well as Carbon Capture and Storage technology. At home, its Energy Minister is fast tracking plans to use taxpayer dollars to build new coal-fired power stations! So, welcome back, Australia – don’t you think it is finally time to wake up and smell the smog? They’ve done it before so why not again – the accounting slight of hand that belies reality! 11 December 2018, The Sydney Morning Herald, ‘Fake action’: Australia’s secret path to hitting Paris climate goals. Australia could use a little-known loophole to help meet up to half its Paris climate commitments in a move that analysts warn could undermine the global accord. Neither Environment Minister Melissa Price nor Labor will rule out counting Australia’s expected credits from beating its 2020 goal under the soon-to-be-superseded Kyoto Protocol against its 2030 Paris pledge. The analysts say such a move by Australia would encourage other nations to follow suit. One ex-member of Australia’s negotiating team said the government had considered using the credits for some time even though it went against the spirit of the Paris accord signed in 2015. While not formally on the agenda at the current climate talks in Poland, the issue of Kyoto credits is expected to be discussed in coming days. Ms Price, who is attending the summit in the city of Katowice, has put the expected surplus by 2020 – when the Paris agreement kicks in – at 294 million tonnes of carbon dioxide-equivalent. 13 February 2018, Climate Home: What are the impacts of 1.5C global warming, compared to 2C? What would it take to limit temperature rise to that level? What are the trade-offs with sustainable development goals? These are the questions to be addressed by the Intergovernmental Panel on Climate Change (IPCC) in a special report due to be finalised in September 2018. Climate Home News has obtained a draft of the summary for policymakers, which sifts through the peer-reviewed literature for answers. If you are interested in reading the full report – here it is. NOTE from IPCC: Draft reports are provided to reviewers as working documents. They are not intended for public distribution, and must not be quoted or cited for the following reasons: – Firstly, the text can change substantially between the Second Order Draft and the final version once the report’s authors have carefully considered every individual government and expert review comment. For instance, the First Order Draft of this report received 12,895 comments from nearly 500 expert reviewers. Like any work in progress, it is important to respect the authors and give them the time and space to finish writing before making the work public.– Secondly, the Second Order Draft is based on scientific literature published or submitted for publication before 1 November 2017. Newly published scientific evidence highlighted by reviewers can still be taken into account between the Second Order Draft and the final version of the report, as long as it is accepted for publication in a journal before 15 May 2018. Drafts of the report are, therefore, collective works in progress that do not necessarily represent the IPCC’s final assessment of the state of knowledge. 13 February 2018, Climate Home: 11 takeaways from the draft UN report on a 1.5C global warming limit. UN draft report says missing 1.5C warming target will multiply hunger, migration and conflict, but staying under will require unprecedented global cooperation (ED: please read here “miracle”). Enter the Intergovernmental Panel on Climate Change (IPCC). The climate science body agreed to produce a special report on 1.5C, summarising all the available evidence, What is clear from the content so far, though, is there is not much time left. Here are the main takeaways (access full list here)……. 1. We’re close to the line: The world has already warmed 1C since pre-industrial times. At the current rate, we will pass 1.5C in the 2040s. 2. 1.5C is risky: The fingerprints of climate change are already visible on extreme weather events, sea level rise and related impacts on ecosystems and human society. Each notch of warming brings more disruption. 3. 2C is riskier: The next half-degree ramps up the risk of flood, drought, water scarcity and intense tropical storms. There are knock-on effects: reduced crop yields, species extinction and transmission of infectious diseases like malaria. And these pressures multiply the threat of hunger, migration and conflict. 4. Poor and coastal communities will be hit hardest: Vulnerable communities are already experiencing threats from climate change. At both 1.5C and 2C these effects scale up. 5. “Rapid and deep” emissions cuts are needed: Meeting the 1.5C goal is a huge ask. 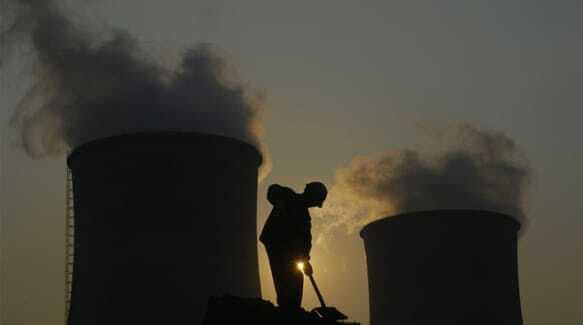 It implies cutting greenhouse gases faster than ever before across all sectors of the economy. 6. …and negative emissions…At the same time, carbon dioxide needs to be sucked out of the atmosphere. It gets little attention from politicians or policymakers, yet every single pathway to 1.5C relies on this to some extent. Depending on the scenario, 380-1130 gigatonnes of CO2 should be removed. Firstly, this is to cancel out the leftover emissions after everything that can be cut has been cut. Secondly, it makes up for overshooting the emissions limits that would keep temperatures below 1.5C. 7. …and luck: All of these models are probabilistic: assumptions about population, the economy, climate dynamics, policies and technologies go in and the likely impact on temperatures comes out. Some uncertainties are beyond human control. Scenarios that give a 66% chance of holding temperature rise below 1.5C throughout this century are “already out of reach”, according to the draft summary. That leaves a narrow path to walk to stay within the 1.5C threshold, or the prospect of overshooting and using negative emissions to restore the balance by 2100. 8. It’s all about the overshoot: As global warming outpaces efforts to curb it, models increasingly rely on “overshoot” to keep international targets within reach. That goes for 2C as well as 1.5C. The bigger the overshoot – and scenarios in this report reach up to 1.9C before returning to 1.5C by 2100 – the more drastic action is needed to correct it. 9. Radical action has trade-offs: Scaling up negative emissions in line with the 1.5C goal may clash with efforts to end hunger. “There is a high chance that the levels of CO2 removal implied in the scenarios might not be feasible due the required scale and speed of deployment required and trade-offs with sustainable development objectives,” the draft states. 10. Beware techno-fixes: The draft takes a sceptical line on solar geoengineering, a prospective technology to cool the planet by reflecting heat into space. Ethical implications, governance issues and public resistance could make it “economically, socially and institutionally infeasible”. 11. Prepare for social change: As much as any technology, 1.5C depends on people changing their behaviour. That means the rich eating less meat, using energy sparingly and forgoing private cars. And it means tackling institutional barriers to action like public attitudes, lack of resources or special interests. AND HENCE THE NEED FOR A MIRACLE! They have let the fox into the hen house! We, Heads of State, Government, and Delegations, gathered on the 15th of November 2016 in Marrakech, on African soil, for the High-Level Segment of the 22nd Session of the Conference of the Parties to the United Nations Framework Convention on Climate Change, the 12th Session of the Conference of the Parties serving as the Meeting of the Parties to the Kyoto Protocol, the 1st Session of the Conference of the Parties serving as the Meeting of the Parties to the Paris Agreement, at the gracious invitation of His Majesty the King of Morocco, Mohammed VI, issue this proclamation to signal a shift towards a new era of implementation and action on climate and sustainable development…..
6 October 2016, The Conversation, Paris climate agreement comes into force: now time for Australia to step up. The Paris climate agreement is set to enter into force next month after the European Union and Canada ratified the agreement overnight. The agreement, reached last December, required ratification by at least 55 countries accounting for 55% of global emissions to become operational. Why has ratification been so quick? The optimists would point to this as evidence of mounting international momentum. A truly global agreement and joint ratification by China and the US have reinvigorated international efforts. India, Canada and the EU have followed shortly after the US and China. Canada also recently announced a domestic carbon tax of C$10. Ratification is not action per se, though, and it’s difficult to directly link the domestic actions of Canada and others to Paris. The more realistic explanation for the ratification landslide is less inspiring. The Paris Agreement is so weak in terms of legal obligations that countries have little reason not to ratify it. The legal obligations of the Paris Agreement are sparse and procedural. Countries are bound to submit increasingly stringent pledges every five years. Yet they are not obliged to achieve them. What about Australian ratification? Australia has yet to ratify the Paris Agreement, but will likely do so soon. Australian ratification of international treaties is done through the executive, not the parliament. Prime Minister Turnbull makes the final decision as to whether Australia will ratify the Paris Agreement. Turnbull will not act alone; his decision will be advised by cabinet and the report of the Joint Standing Committee on Treaties (JSCOT). This is a cross-party committee made up of members from the Senate and the House of Representatives. JSCOT is considering the Paris Agreement and will hold its final public briefing in Melbourne today. Shortly thereafter it will report back to parliament. Given that Paris implies few obligations, Australia will likely ratify the agreement before the end of the year. Not doing so would unnecessarily risk Australia’s already tattered reputation on climate change. Yet there are also fears that Australia risks embarrassment by ratifying and then missing its first pledge. Wikipedia 5 October 2016: The Paris Agreement (French: L’accord de Paris) is an agreement within the United Nations Framework Convention on Climate Change(UNFCCC) dealing with greenhouse gases emissions mitigation, adaptation and finance starting in the year 2020. 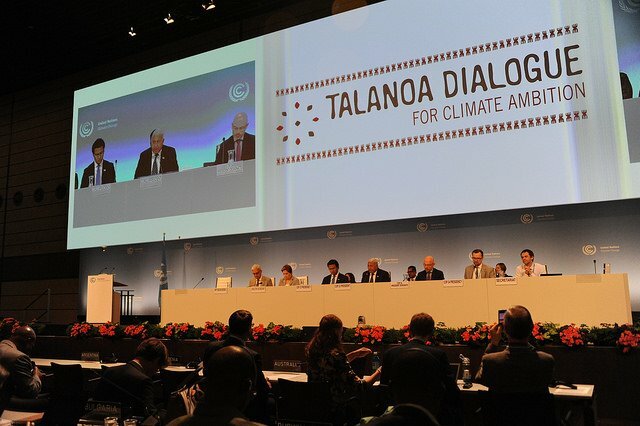 The language of the agreement was negotiated by representatives of 195 countries at the 21st Conference of the Parties of the UNFCCC in Paris and adopted by consensus on 12 December 2015. It was opened for signature on 22 April 2016 (Earth Day) in a ceremony in New York City. As of October 2016, 191 UNFCCC members have signed the treaty, 63 of which have ratified it. The agreement will only enter into force provided that 55 countries that produce at least 55% of the world’s greenhouse gas emissions ratify, accept, approve or accede to the agreement; although the minimum number of ratifications has been reached, the ratifying states do not produce the requisite percentage of greenhouse gases for the agreement to enter into force. 16 August 2016, Climate Home, An investigation into the dangers posed by temperature rises above 1.5C opened on Monday with a top UN official branding it the “yardstick” on which efforts to tackle global warming will be based. Nearly 100 government officials and scientists are in Geneva this week for the launch of the two-year study, which is under the control of the Intergovernmental Panel on Climate Change. Its findings will form the “scientific basis” of a global stocktake in 2018, when the climate plans of 195 countries will be assessed at a UN meeting, said IPCC chair Hoesung Lee. “It will be the yardstick on whether countries are doing enough,” the South Korean economist told an opening meeting of invited experts. 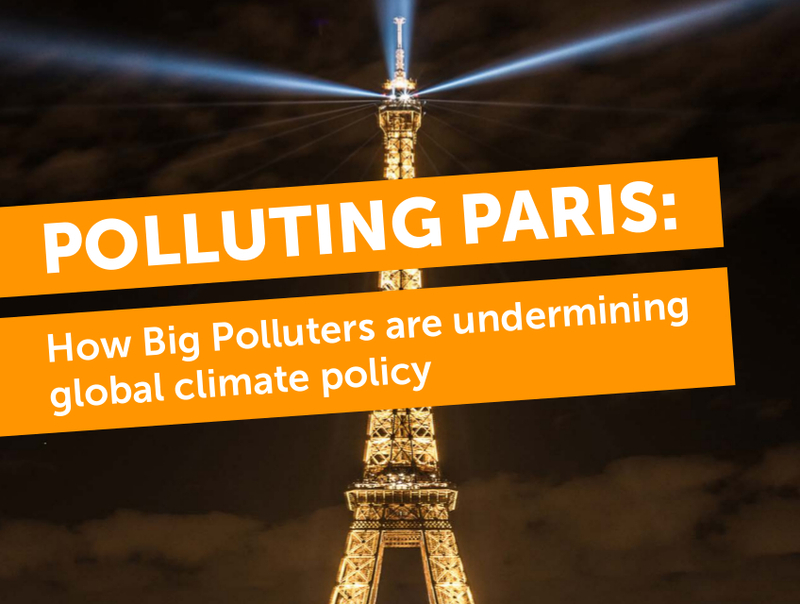 On Track from Paris – Is this a plan or just more smoke and mirrors? May 2016, World Resources Institute: The number of essential tasks that must be achieved before the first meeting of the Parties to the Paris Agreement (known as CMA1) are many. 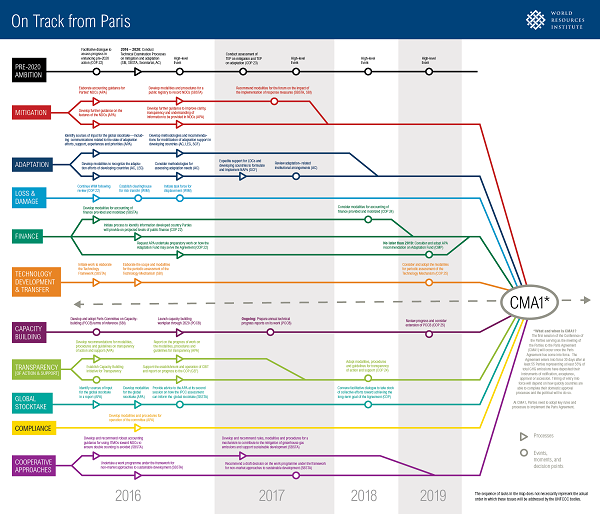 To help negotiators and stakeholders find their way, WRI also created a map, On Track from Paris, which offers an overview of the sequencing and milestones to reach the CMA1 (see below). What does the signing of the Paris Agreement mean? And what comes after Paris? 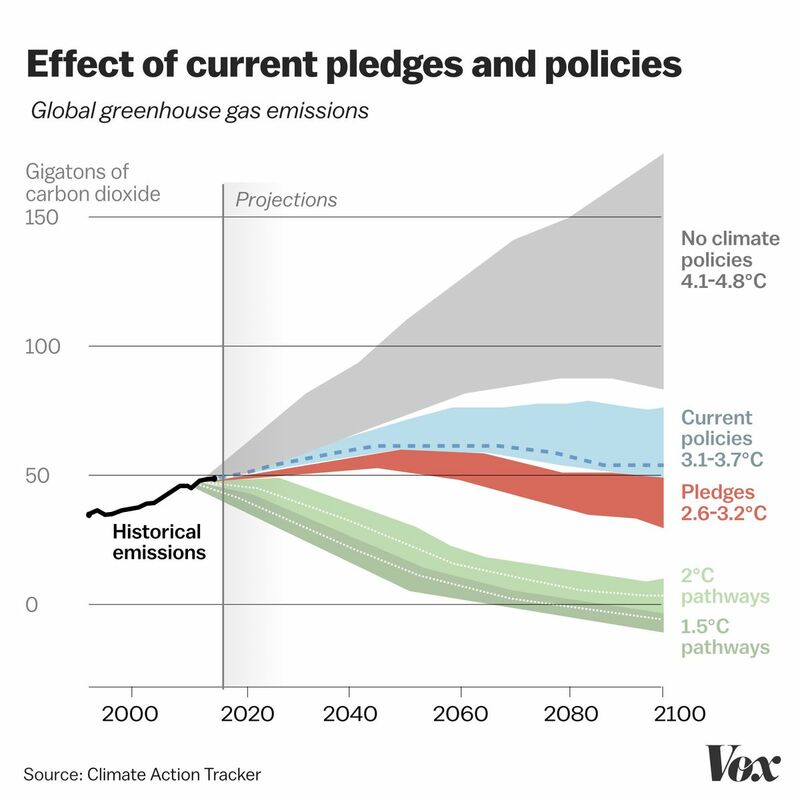 Stronger than expected global warming goals: Countries agreed to not only keep the previously agreed less than 2°C goal in sight, but also to pursue avenues to keep warming below 1.5°C. This is a safer limit for low lying islands and other highly vulnerable countries. Countries will need to show how their target is a fair contribution to meeting the 1.5-2°C goal. All countries agreed on aiming to reach global peak greenhouse gas emissions as soon as possible, and to undertake rapid reductions thereafter, in accordance with best available science. They recognised the need for net zero emissions, but didn’t use that exact term. Rather they agreed to: “achieve a balance between anthropogenic emissions by sources and removals by sinks of greenhouse gases in the second half of this century”.6 Yet science suggests that all greenhouse gases would need to be at net zero by 2050 to have a chance at avoiding 1.5°C warming. To have a chance of avoiding 2°C, we would need to be at net zero between 2060 and 2070. 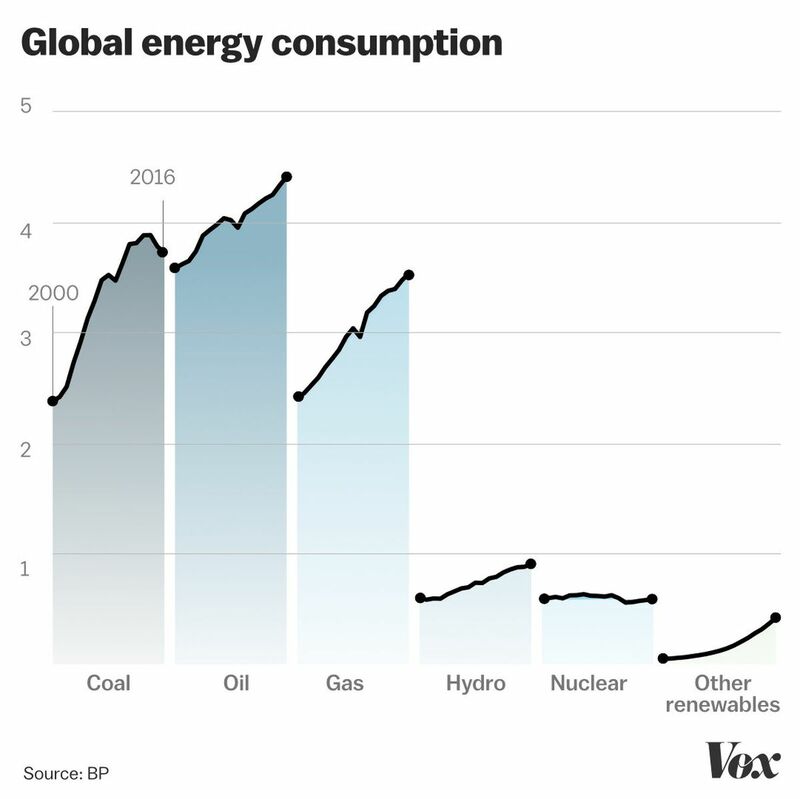 Carbon dioxide (CO2) emissions from energy and industry, which last longer in the atmosphere, would need to be at zero earlier than other gases. A universal and durable agreement requiring actions from all countries: Key elements of the agreement include its durability and processes of review. The Paris Agreement will be more than a one-off deal – all countries have agreed to an enduring regime that ramps up action over decades. This contrasts with previous agreements that had to be renegotiated every decade or so. The agreement sets up a five yearly ‘stocktake’ of global progress, which will inform the submission of stronger commitments countries will make every five years, as demonstrated in Figure 2. Each updated target must be a progression of action over the last one, and re ect each country’s best efforts. Countries have also been invited to develop long-term national emissions targets for 2050, by 2020, so that business and communities have a clear pathway for planning. The agreement has: stronger than expected warming goals; effectively, a net zero emissions target; regular ve yearly reviews; and commitments to scale up and review climate finance investments. This means there are clear signals to business and investors that domestic policies will need to strengthen over time. The transparency and accountability framework is not fully developed, but there is a pathway for these to be established before 2020 when the agreement starts. As such, the outcome, while not perfect, will more than boost pre-existing momentum and can help catalyse the climate action needed. The international politics of climate change are catching up with the real-world, where we have seen signi cant shifts in domestic policies, investment choices, and community opinion over recent years. Transformation is already occurring and Paris has con rmed the direction of travel out of traditional fossil fuels and into clean energy sources. The agreement will further galvanise investors and industry around the growing opportunities of a clean economy. Next steps: The international process will continue in 2016. Countries will work to put all the details in place so that the Paris agreement can come into force in or before 2020. For example, a capacity building committee will operate over the next few years to help developing countries build the knowledge and technological skills necessary to meet their current and future targets and adaptation needs. A work plan has also been put in place to develop the rules and procedures that will keep countries accountable to their contributions. A global agreement on climate change facilitates the transition to a net zero carbon economy and helps countries work more collaboratively. But it is effective domestic policies that will keep global warming well below 2°C. What this means for Australia: The Paris agreement marks a critical point for Australian climate policy.The government has agreed to scale up action towards net zero emissions and the rest of the world is accelerating down this path. The time for piecemeal, unstable and short-term policy is over. The real work for Australia starts now. While international agreements can mark and drive momentum, it is domestic actions taken by governments that will reduce emissions. Cancel our “Kyoto carry over” of surplus carbon credits. Time to scale up our national target: Australia’s current post-2020 target will not see us pulling our weight towards limiting warming to below 1.5-2°C and does little to bring Australia in line with other developed countries.8 If other countries followed Australia’s lead, the world would warm by 3-4°C. Meeting the government’s 2030 target could see our per capita emissions fall to 16 tonnes – still much higher than other developed countries, and the highest of any G20 country other than Saudi Arabia. We would also have the most pollution intensive economy of any developed nation. While there is acknowledgement of the need for a net zero emissions economy, some in government suggest this target should be “by the end of the century”. As noted above, for the new warming goals to be taken seriously, this needs to be achieved around mid-century. The government has accepted the need for developed countries to show leadership, and it is clear that to do our bit towards these global goals, Australia should reach net zero emissions well before 2050. The longer we delay setting a credible target, the greater the risk that we will need to take more draconian action at a later date to keep up with global action. Failure to deliver on the details and spirit of the Paris agreement to scale up action will also see Australia face an increasingly negative reaction from other countries in both climate change and other international fora. + Update its target to one that is consistent with limiting warming to less than 1.5-2°C when it ratifies the Paris agreement. This would require emissions reductions of around 65 per cent below 2005 levels by 2030.
in Australia’s transition to a net zero emissions economy. This can better facilitate long-term decision-making and investment. The government has indicated it will develop a long-term target as part of its 2017-18 domestic policy review. Implement scalable, and durable domestic policies: Australia’s current suite of climate policies will not modernise our economy, or meet our international commitments going forward. This needs to change. Our current initiatives do not put us on a path to meet our current inadequate 2030 pollution reduction target, let alone meet future targets that improve progressively. For example, the recent auctions under the Emissions Reduction Fund have achieved 2 per cent of the required reductions to do our bit in a less than 2°C world. The Prime Minister has stated we need to achieve net zero emissions. This is the key benchmark to judge domestic policy settings against. The challenge is not just to achieve certain percentage reductions but to establish a prosperous zero carbon economy. Recently, the government has begun working to establish regulations to phase down super greenhouse gases used primarily in refrigeration (HFCs). It has also established a ministerial process to develop the “world’s best” vehicle standards. These are welcome, but insufficient steps. An essential element of achieving net zero emissions is the decarbonisation of the electricity sector before 2050. This requires both a phase out of high carbon coal- fired generators, and a phase in of renewable or near zero carbon power. The Climate Institute recommends that the government implement a regulated and planned phase out of coal generators consistent with a near zero emission electricity system, starting no later than 2020, ideally before. Do our bit to support vulnerable nations: Improving resilience to climate impacts should be central to Australia’s aid program. It is in our national interest. Without climate resilience, Australia will increasingly be called to clean up and support countries after they suffer growing climate change impacts. The current contribution of $200 million a year, while a welcome rst step, falls well short of what other countries are putting on the table. To play our part towards the agreed US$100 billion goal, by 2020 Australia should be contributing ~$1.5 billion a year. Contributions can be made through the Green Climate Fund or by way of bilateral agreements. The government should prioritise the unique challenges of least developed countries and small island developing states. This will need to be scaled up through time. It highlights the need for the government to develop innovative and sustainable funding sources, as well as the need to leverage more private sector investment for zero carbon development and resilience projects in developing countries. Cancel the Kyoto carry over: The agreement calls on countries to voluntarily cancel any emissions credits that have accumulated under the first period of the Kyoto Protocol rather than carry them over to help meet 2020 targets. These credits were generated because we over-achieved on our weak 2008- 2012 pollution increase target. A number of countries like Germany and the United Kingdom have cancelled their carry over units so they can boost ambition before 2020 and focus their efforts on modernising their economies. Australia should too. 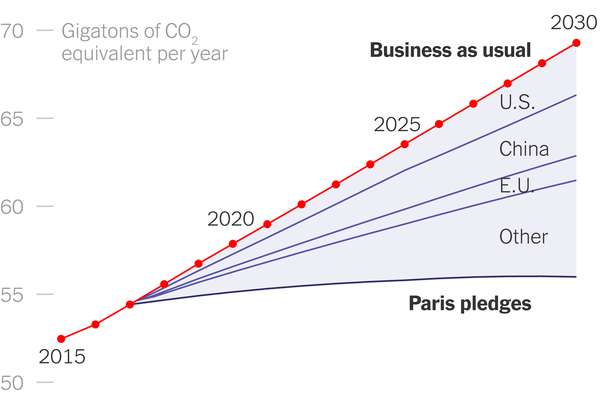 13 November 2015, Carbon Brief, Explainer: The legal form of the Paris climate agreement. The aim of the UN summit in Paris is to seal a universal, international agreement on avoiding dangerous climate change, that has legal force. In broad terms, this means the Paris agreement is almost certain to include a legally binding treaty at its core, despite headlines to the contrary. Yet the treaty’s precise legal form remains unclear. What will the treaty bind countries to do? Will it even be called a treaty? Carbon Brief has read the lengthy legal texts and spoken to the experts on the legal form of the Paris climate agreement — and whether the legal form matters. The Climate Scoreboard shows the progress that national contributions (INDCs) to the UN climate negotiations will make assuming no further action after the end of the country’s pledge period (2025 or 2030). Our analysis shows that the national contributions to date, with no further progress post-pledge period, result in expected warming in 2100 of 3.5°C (with a range of uncertainty of 2.1 – 4.6°C). The Climate Scoreboard uses the C-ROADS climate policy simulation model to analyze the impact of the “Intended Nationally-Determined Contributions (INDCs)—pledges to limit greenhouse gas emissions—to the UN climate negotiations. The Scoreboard analysis above shows the expected impact of the pledges nations have made to date, assuming (1) the pledges are fully implemented, and (2) assuming no further reductions beyond those that have been formally pledged, specifically, actions after the end of the country’s pledge period (2025 or 2030). Plus, all countries peak and then reduce 3.5 – 4% per year: 2.0°C, 1.1-2.7 (3.6°F, 1.9-4.9). NOTE: Go to “Australian Response” for assessment of what Australia’s pledge actually means. Another excellent analysis tool from Climate Action Tracker that rates the adequacy of th e pledged actions of countries can be found here. No surprise that Australia’s response is rated “inadequate”. Data is updated as pledges change. Climate Action Tracker – Combined effort of Climate Analytics and Ecofys, with support from the European Climate Foundation. Provides current proposals, analysis of proposal strength, and projected global temperature increase based on all pledges. I find the CAN enewsletter somewhat different and possibly not everyone’s cup of tea! But it is excellent for reporting on negotiations very closely, on a daily basis. 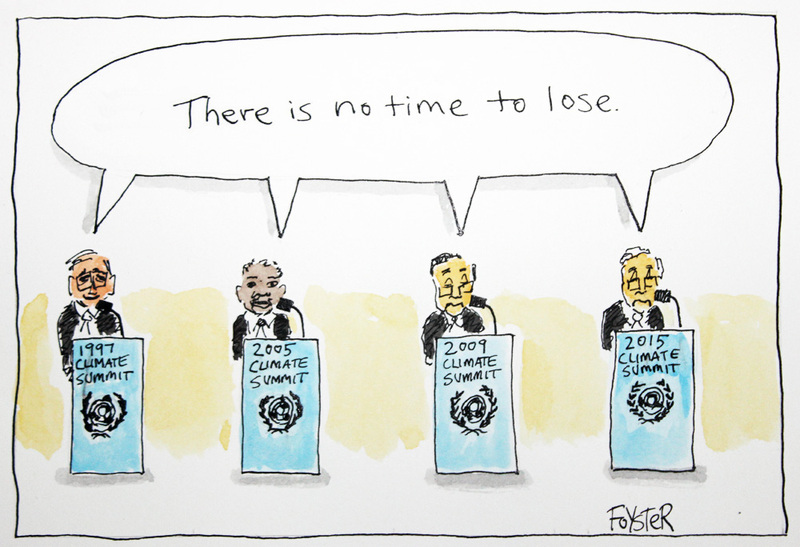 If you want to keep a closer eye on the climate talks than I would recommend registering for their enewsletter – ECO. The Climate Action Network (CAN) is a worldwide network of over 950 Non-Governmental Organizations (NGOs) in more than 110 countries, working to promote government and individual action to limit human-induced climate change to ecologically sustainable levels. Wanting to understand international negotiations better? An in-depth analysis 15 June 2015, The Carbon Brief an In-depth analysis: Is the 1.5C global warming goal politically possible? The United National Framework Convention on Climate Change (UNFCCC) entered into force on 21 March 1994. Today, it has near-universal membership. The 195 countries that have ratified the Convention are called Parties to the Convention. This is why their meetings become COPXX. The UNFCCC is a “Rio Convention”, one of three adopted at the “Rio Earth Summit” in 1992. Its sister Rio Conventions are the UN Convention on Biological Diversity and the Convention to Combat Desertification. Trying to understand the convoluted machinations of global agreements? Good luck!